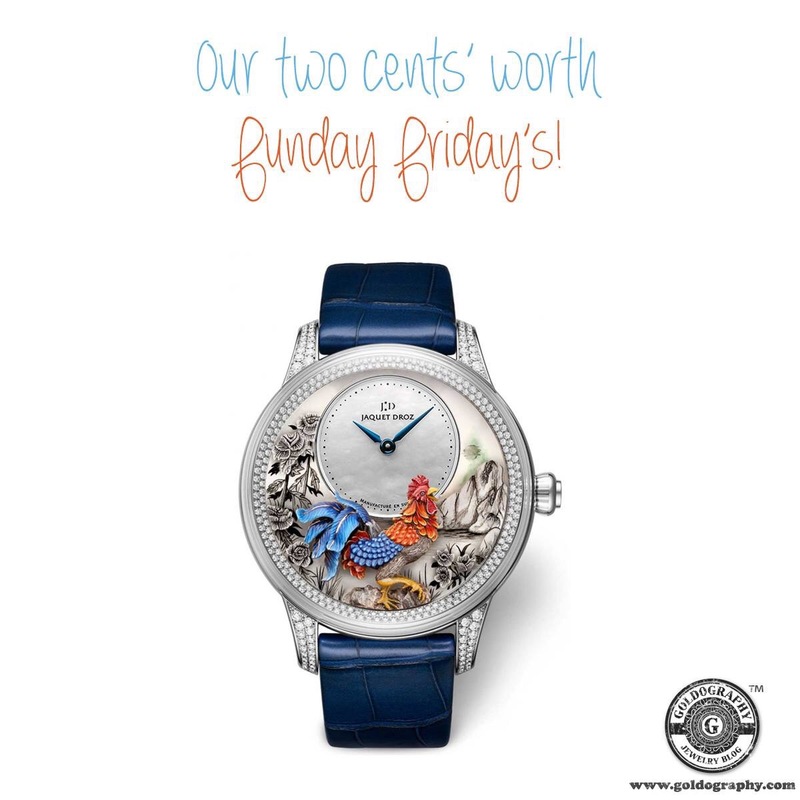 Jaquet Droz 18K white gold watch with alligator straps, carved jadeite, engraved mother of pearl and diamonds, the rooster on the inside of the case is hand painted. 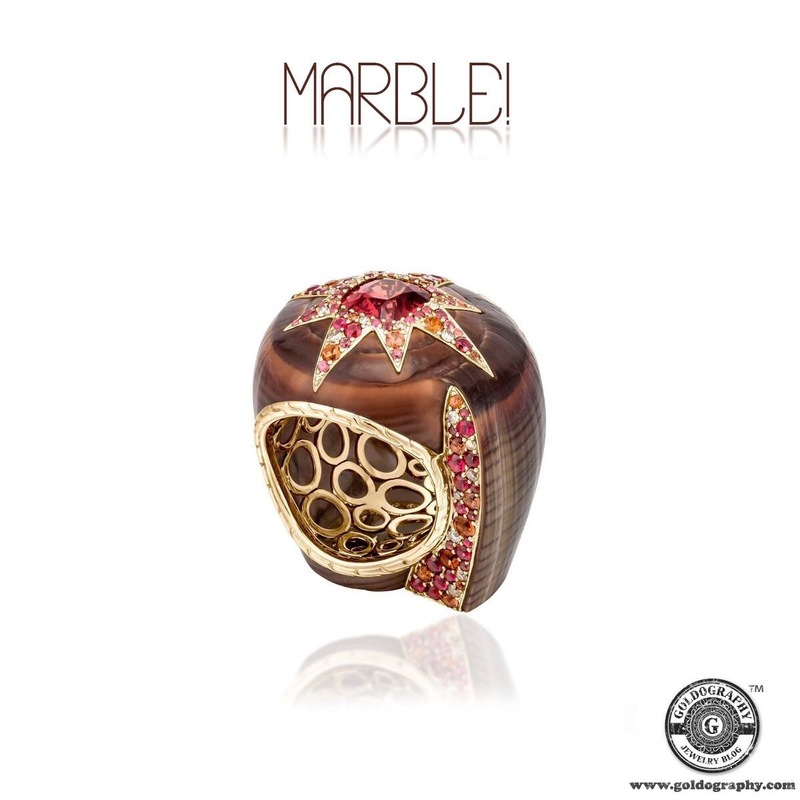 John Hardy 18K yellow gold ring with a marble cone shell, red spinel, orange sapphires and brown diamonds. 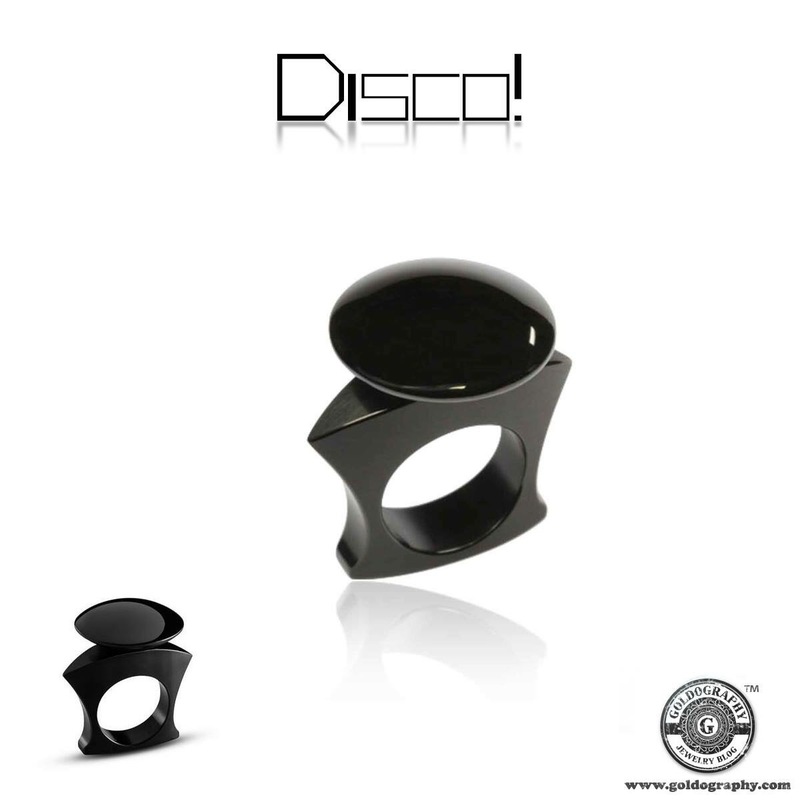 Michael Berger blackened stainless steel disco ring. 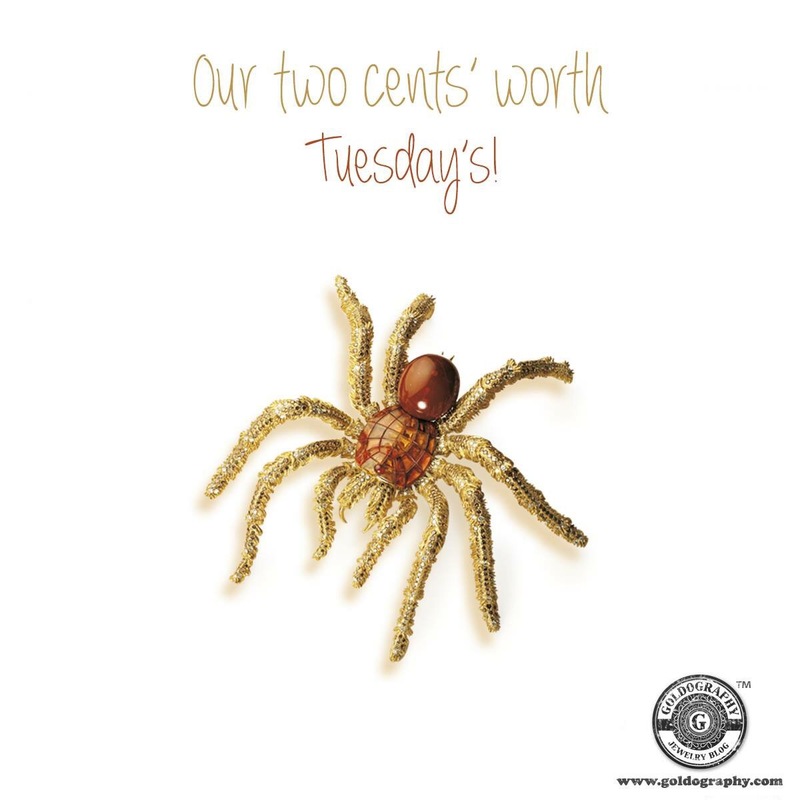 Our two cents’ worth Tuesday pick is this one of a kind brooch from Hemmerle, made in 18K yellow gold with a rare horse conch pearl, umba sapphires, brown and white diamonds and rubies. Sarah Ho 18K white and rose gold flower earrings with conch pearl, mother of pearl and diamonds. 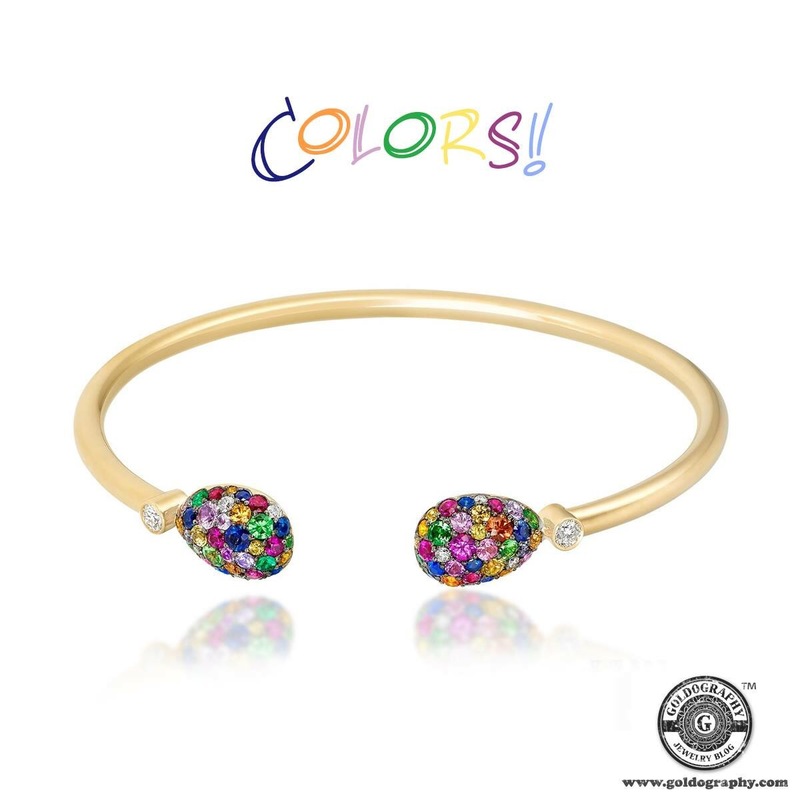 Faberge 18K yellow gold bangle with rubies, tsavorites, sapphires and diamonds. 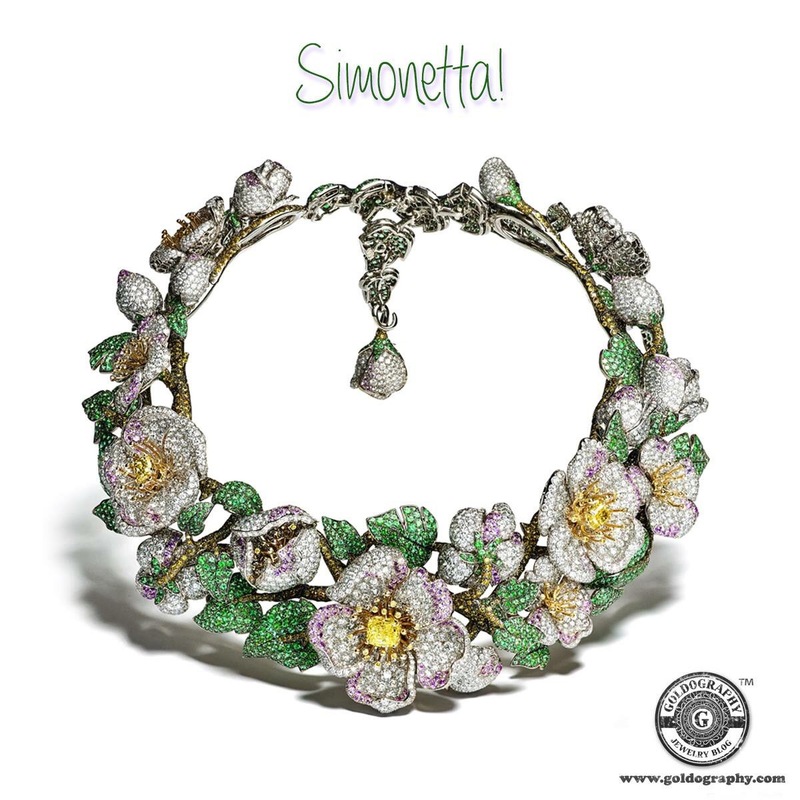 Giampiero Bodino 18K white and yellow gold primavera necklace with silver, cognac and yellow diamonds, pink sapphires and emeralds.